Most sellers are honest and are often surprised to learn of defects uncovered during an inspection. But, no home is perfect and you should keep things in perspective. You do not want to kill your deal over things that do not matter. And you should realize that sellers are under no obligation to repair everything mentioned in the report. It is inappropriate to demand that a seller address deferred maintenance conditions already listed on the seller's disclosure or nit-picky items. But do realize that an inspection report can be one of your best bargaining tools and you should use the information to your advantage. Call me at 405-514-8583 and I’ll tell you how. And see how my reports are different than their reports. An example of one is here. The report, is after all, what you are paying for. If you need a home inspection performed in Oklahoma, don’t settle for anything less than an experienced, certified, home inspector. I have over 25 years of commercial and residential construction experience. I have taken the college level inspection course required by the State of Oklahoma and passed the National Licensing Test. 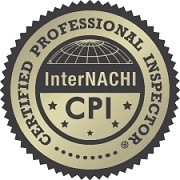 I am a Certified Professional Inspector. I attend a minimum of 10 hours of continuing education each year and have continuing education credits in: Electrical, Plumbing, Roofing, Exterior, Structure, and HVAC Inspections, and many more. Call me at 405-514-8583 or email preferredinspections@cox.net to get a free quote or to schedule your inspection in Edmond, OK or the Oklahoma City Metro Area.